is a blond type authentic premium pale ale. those who appreciate the meaning and depth of beer’s aroma. 100% Aroma Hops results in ale beer with rich aroma. 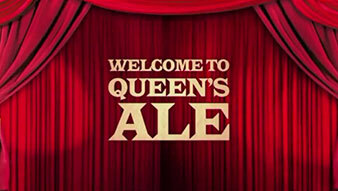 QUEEN'S ALE has the rich floral aroma of authentic ale. The Triple Hopping Process produces a rich aroma. for richer and more authentic aroma. 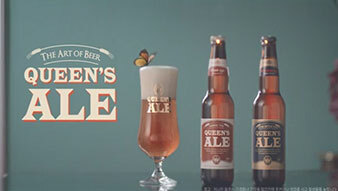 Hops are added only twice in other beers. After 3 minutes ale’s rich aroma becomes perfect.